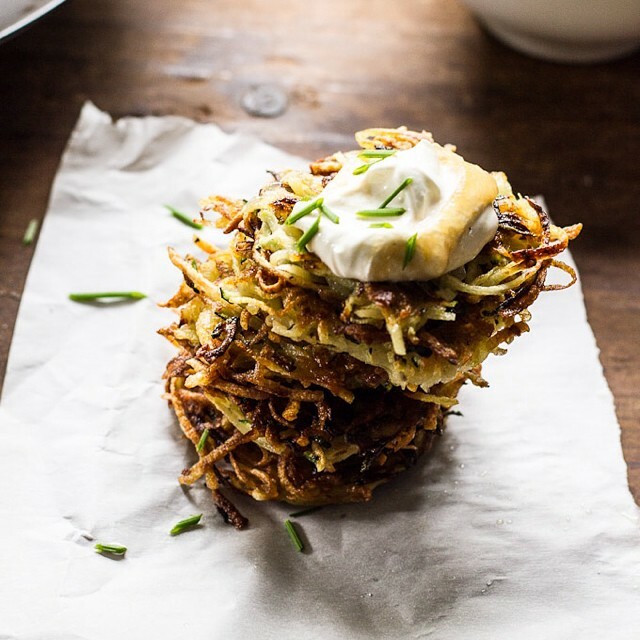 Crispy Zucchini + Potato Pancakes with Marbled Applesauce Yogurt. I made Crispy Zucchini + Potato Pancakes w/ Marbled Applesauce Yogurt. We devoured them.